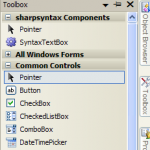 sharpsyntax is a control extending RichTextBox by providing syntax higlighting capabilities. 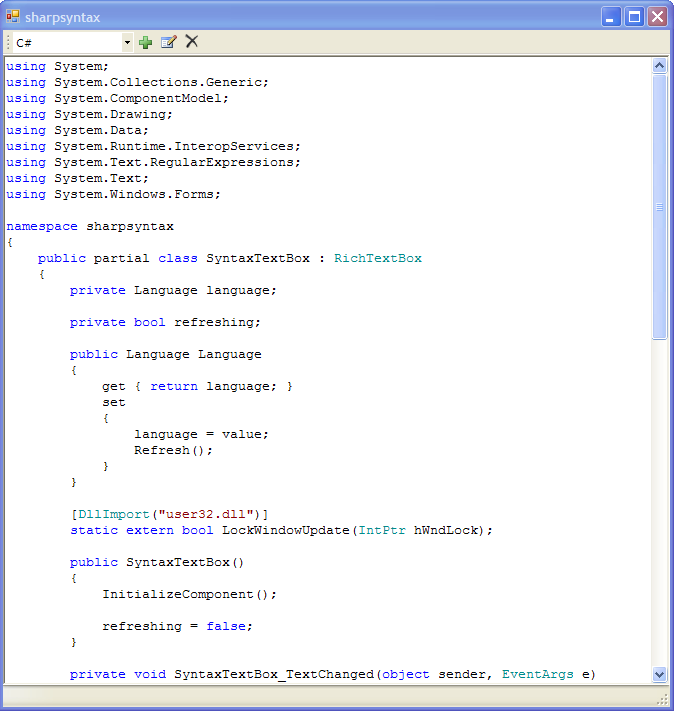 Release includes binaries, source code and basic language definitions for C#, T-SQL and DOS Batch. 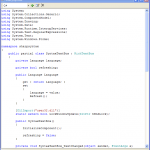 Include sharpsyntax project in your solution or just add a reference to sharpsyntax.dll. 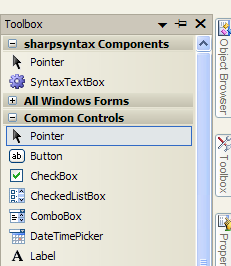 SyntaxTextBox behaves just like a regular RichTextBox. 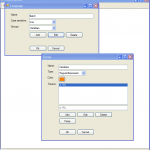 Drop it onto your form and customize its properties. Once setup you have to set the language the control will higlight. Nothing easier than setting the Language property of the control. 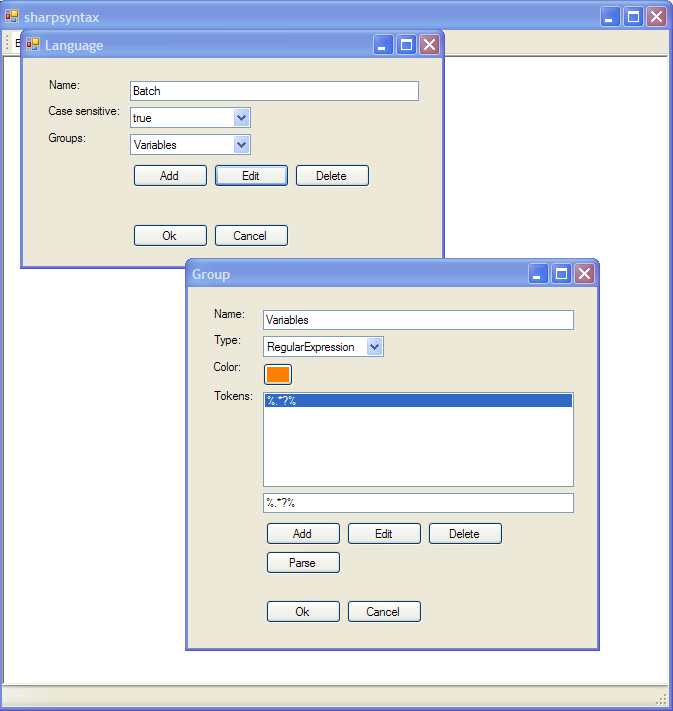 To define a language you can programmatically build a Language object or let it load from an xml custom format language definition file.